In this article we will study Planning : Meaning, Features, and its Importance. we will discuss about Planning, Its meaning ,features and importance of planning. All organisations whether it is government, private or small business but it requires planning.For achievement of goal they decide what,how and when to do they do planning. Planning means thinking in advance what to do, how to do and when to do and by whom it should be done. It also means , planning is abridges or gap between where we stand today and where we want to reach. It helps management to think in advance and help them to achieve organisational goal. “Planning is the thinking process, the organised foresight, the vision based on facts and experience that is required for intelligent action”. – Alfred and Beatty. “Planning is chalking out plan of action, i.e., the result envisaged in the line of action to be followed, the stages to go through the methods to use”. – Fayol. “Planning is deciding in advance what to do, how to do, and who is to do it. Planning bridges the gap from where we are to where we want to go. It makes it possible for things to happen”. – Koontz and Odennell. Planning contributes to objectives – When we commence business, it starts with planning and setup of objectives of organisation. After setting up of objectives, planning decided its methods, procedures, and steps for achievement of its objectives. Planning is futuristics/Forward looking – Planning always means futuristic function. It is never done for past.In planning we decided that how organisation works which helps them to achieve organisational goal for future. Continuous process – Planning is a continuous process which never end and planner keep making changing in plans according to the requirement of company. It is a mental exercise – Planning process is a mental exercise which required higher thinking. It required what, when and hoe is to be done. Planning provides direction : Planning process provides direction to the employees. 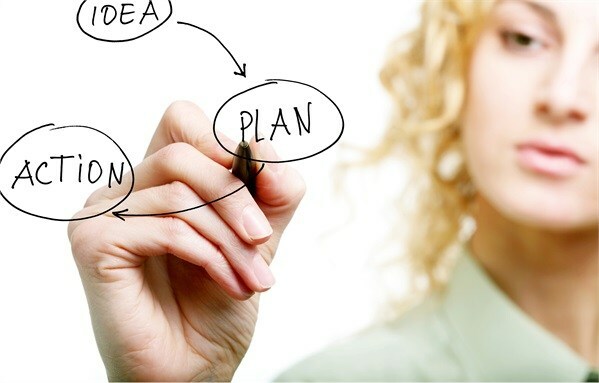 In starting of the business planning provides direction that what and how work has to be done. Reduces risk : In organisational planning in advance reduces risk of uncertainties. The plans are made to overcome such uncertainties. Promote Innovative Ideas : It required high thinking and it is an intellectual process. so, there is a great scope of finding better ideas, methods and procedures. Facilitates decision making : Planning helps managers ti take various decision which helps to achieve organisational goal. It helps managers to take suitable decisions for organisation. It involves huge cost – Planning process involves huge coat because company needs professional experts to carry on this process and get innovative ideas from them. Time Consuming – Planning process is a time consuming process because it takes long time to select the best one and it consume more time to develop planning premises. Planning does not guarantee success – In business process planning is done by its employees and they estimated to achieve organisational goal but plan doesn’t succeed every time, some time it fails due to any reason so, planning doesnot guarantee success. so we have studied Planning : Meaning, Features, and its Importance. also we have discussed about Its meaning ,features and importance of planning. If you have any queries , please let us know in the comments section. 7 Main Nature and Features of Planning in Business8 steps in the planning process8 steps planning processadvantages & disadvantages of planning process pdf free download notes for b.comCharacteristics of Planning - Management Studyclass 12th business studies notesconcept of planning in managementdefine planning premisesdefinition of planningDefinition of Planning And its Features ~ Management Study Onlinedefinition of planning by different authorsexplain planning processExplain the steps involved in the planning process - CBSE Class 12explain the various steps involved in planning processFeatures of Planning - 6 planning features in business and marketingfeatures of planning in managementhuman resource planning stepsimportance of planning pptmeaning of planning in managementplanning process and decision makingplanning process and stepsplanning process and typesplanning process benefitsplanning process business managementplanning process definitionplanning process diagramplanning process in indiaplanning process in managementplanning process in management pdfplanning process in management pptplanning process notes for 12th class students ppt pdfplanning process slideshareplanning process stepsPlanning- Definition and it's features – MBAprinciples of planning in management pdfstages of production planning and controlState any four features of planning - CBSE Class 12 Business Studiessteps in planning in principles of managementsteps in planning process in managementsteps in planning process with examplesstrategic management ppt slides mba studentsThe Basic Steps in the Management Planning ProcessThe various steps involved in planning process are as followsWhat are the Steps Involved in Planning Processwhy planning is necessary to organisation.